This is another very large acrylic painting on a canvas. This painting measures 36″x 36″. 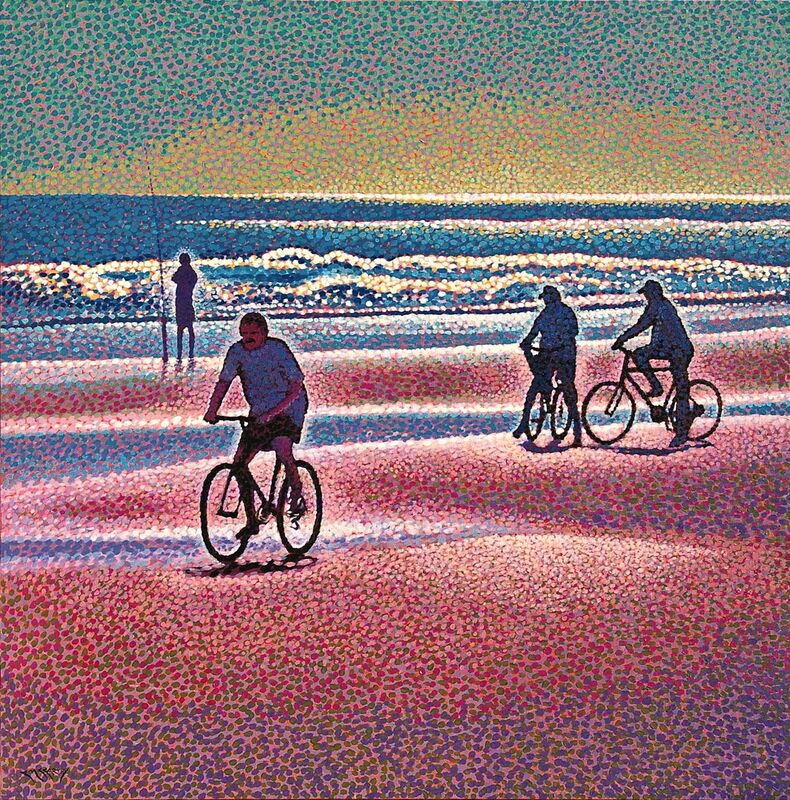 This painting depicts people enjoying life on the beach. This painting is based on photos from New Smyrna Beach, Florida, where I lived for several years. I remember this day, typical of most Florida days, bright, hot and humid. Even this early in the day, you could break a sweat just watching people do stuff! I completed this painting using my more traditional pointillism approach. This painting is being sold unframed.